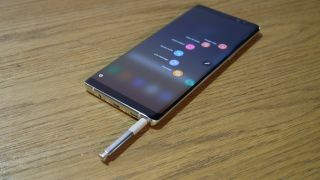 We’re less than a month away from the launch of the Samsung Galaxy Note 9, but while it will probably be a good phone and a great seller, it could also be the last handset to carry the Note name, as Samsung is reportedly considering merging the Note and S ranges. That’s according to sources in the ‘electronics industry’, speaking to The Bell, and supposedly this possibility has been under discussion for the last year or so. The argument made for the merger is that the S range is already very similar to the Note range now that Samsung is selling ‘Plus’ models. The Samsung Galaxy S9 Plus, for example, has a 6.2-inch screen and the Samsung Galaxy Note 8 only has a slightly larger one at 6.3 inches. Other than the latter’s stylus their specs and features are similar too. By merging the ranges Samsung could also save on production costs, and potentially marketing costs too. It’s a compelling argument, but where would that leave fans of the Note and its stylus? That seems unclear at the moment, though it’s already rumored that Samsung is making three rather than two Galaxy S10 models, so the top end one could well come with a stylus of its own, essentially making it a Note in all but name. However, this is all far from confirmed. For now even the discussion of merging the ranges is just a rumor, and according to the sources no decision has yet been made. But whatever happens, we doubt Samsung will remove the stylus option completely.